Since the early days of rap and hip hop DJs have been sampling the records of other artists, sound bites from movies, television and commercials and splicing them into their own songs to create new soundscapes, moods or beats. The fun as a pop culture aficionado is to try and identify those samples and observe how they integrate into the artist’s work, adding new layers of meaning. As a horror fan there is no more recognizable piece of music as the main title theme from John Carpenter’s Halloween. Even non-fans of the genre are quick to attribute the song to the movie series and its namesake holiday. Below is cross section (by no means a complete list) of some of the most well known and not so well known songs that have weaved John Carpenter’s eerie theme into their own work creating something new and dark. 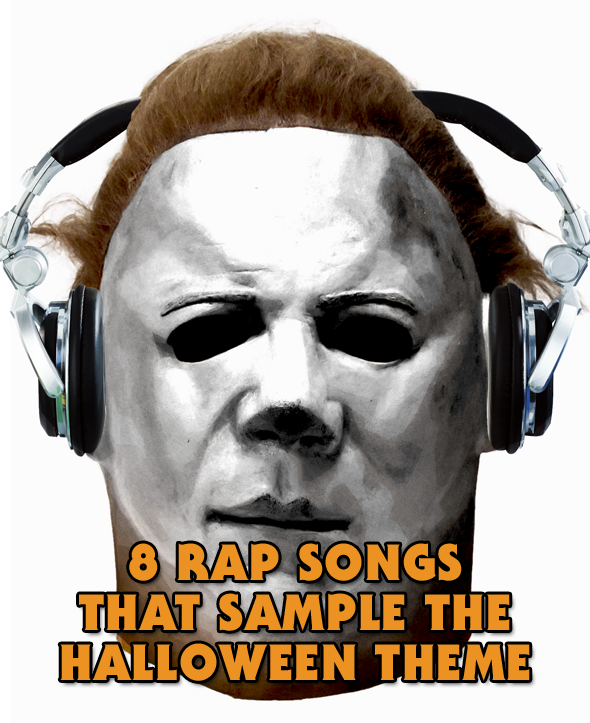 More often than not these songs have a central theme of murder and death and the utilization of the Halloween title track is aptly fitting. All of the songs featured above are available in MP3 format HERE. You might be thinking of “Trick or Treat Whodi”. That song samples The Phantasm main theme, somewhat similar in style to the Halloween theme. I’ve been searching for an old school rap song that had Freddy Krueger scraping his claws to the Halloween theme song with Jason doing his breathing in the background. If anyone could tell me what song this is I’d really appreciate it! DMX did a freestyle over a Halloween themed beat… A little help? ?